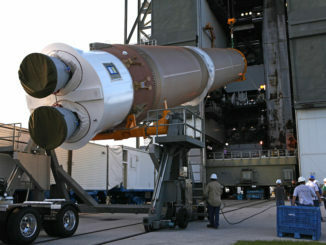 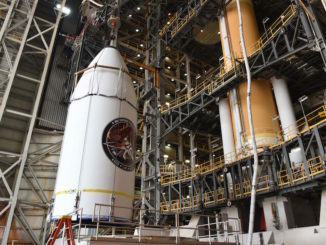 Final assembly of the United Launch Alliance Atlas 5 rocket slated to blast off Jan. 18 with a U.S. Air Force surveillance satellite designed to detect missile attacks has begun at the booster’s Cape Canaveral launch pad. 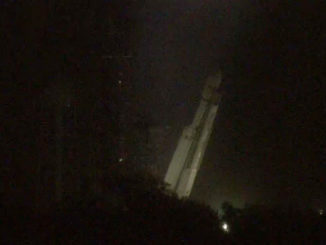 The Falcon Heavy rocket was lowered to the horizontal position before sunrise Friday morning after less than a day standing at the launch pad. 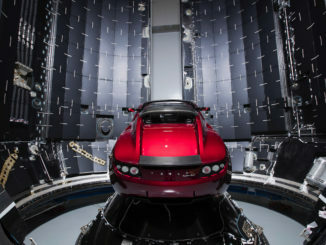 SpaceX has released photos of Elon Musk’s midnight cherry red Tesla Roadster, the dummy payload selected for the Falcon Heavy rocket’s maiden test flight, being readied for launch at Cape Canaveral. 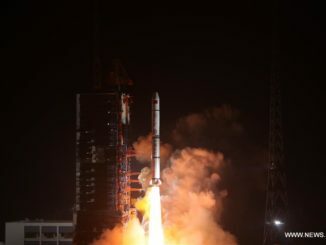 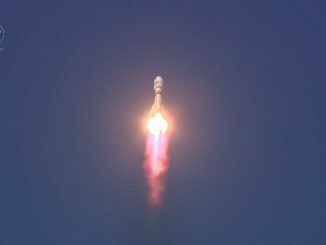 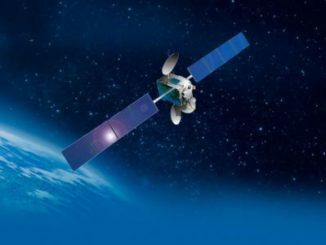 Three more Yaogan satellites successfully lifted off Monday from the Xichang space center in southwestern China, joining two similar triplets launched earlier this year for the Chinese military. 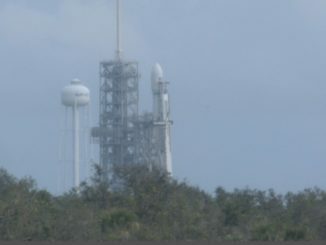 SpaceX’s first Falcon Heavy rocket, made up of two previously-flown Falcon 9 boosters and a beefed up central core stage, made the trip to launch pad 39A at NASA’s Kennedy Space Center in Florida and was raised vertical Thursday for testing ahead of its first liftoff next month. 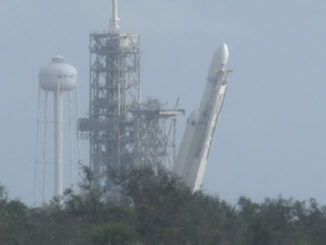 Watch a time-lapse video as the Falcon Heavy goes vertical at launch pad 39A on December 28, 2017. 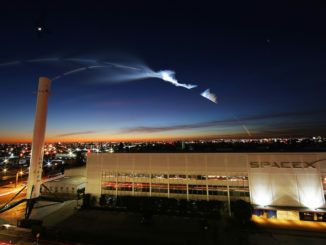 This video runs at 34 times normal speed.